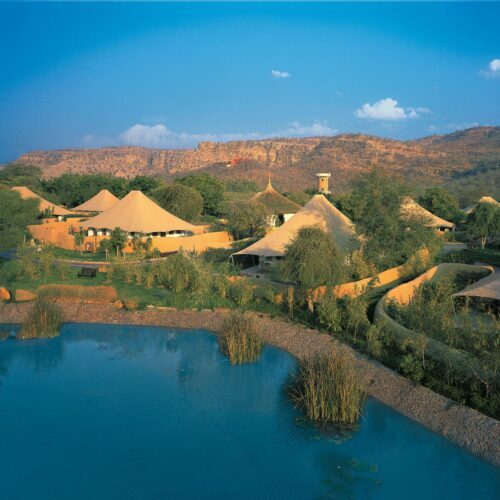 The Oberoi Vanyavilas, Ranthambore is considered one of the most luxurious camps in Rajasthan if not India. 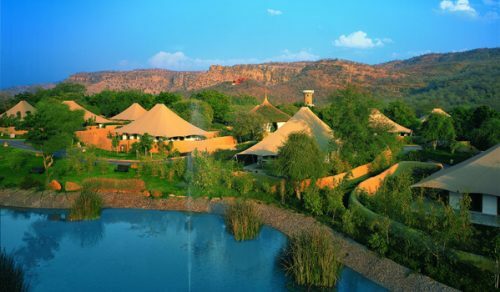 Set just a ten minute drive, outside of Ranthambore National Park, this beautiful tented resort, comprises large and exceedingly comfortable tents laid out within spacious grounds and arranged throughout pretty wild gardens, interspersed with lakes and lily ponds. 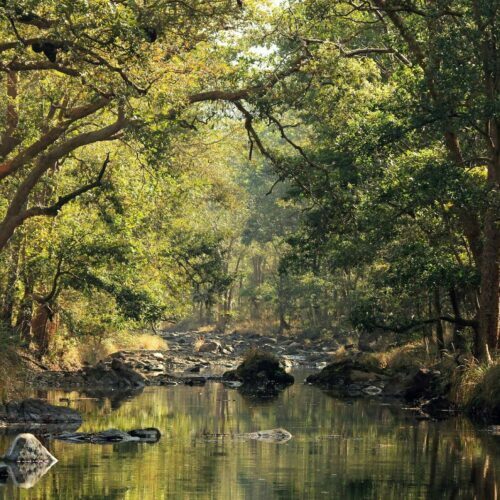 Ranthambore National Park was declared a wildlife sanctuary in 1957 and was taken into the Government of India’s Project Tiger conservation programme in 1974. Over time the park has seen a growth in the tiger population thanks to the efforts of the conservation programme here. 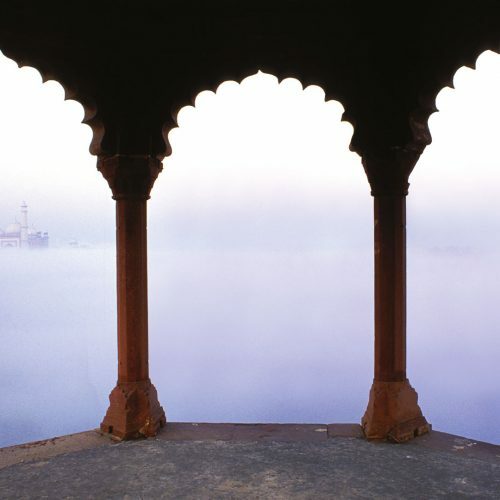 Ranthambore is also home to the magnificent Ranthmbore Fort which recently gained its UNESCO World Heritage status. Inspired by the royal tents from the regal era, each spacious tent at the resort, provides the very latest mod-cons and four poster beds under elegant hand embroidered canopy ceilings, with roll top baths and teak wood floors throughout. 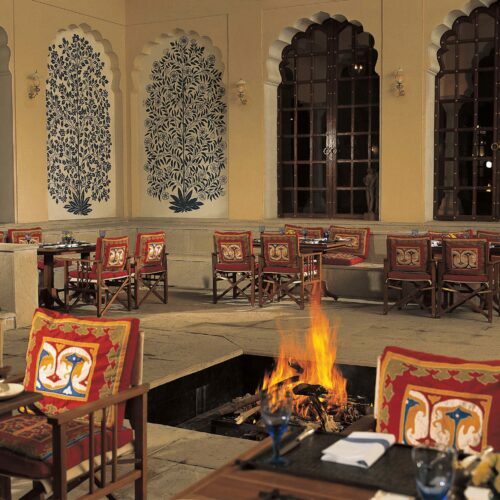 Offering both indoor and al-fresco dining, the restaurant provides daily changing menus of local Rajasthani specialities, and fresh continental dishes. Choose to dine out around the cosy campfire accompanied by gentle folk music, or in the elegant dining room replete with chandeliers and beautiful frescos. 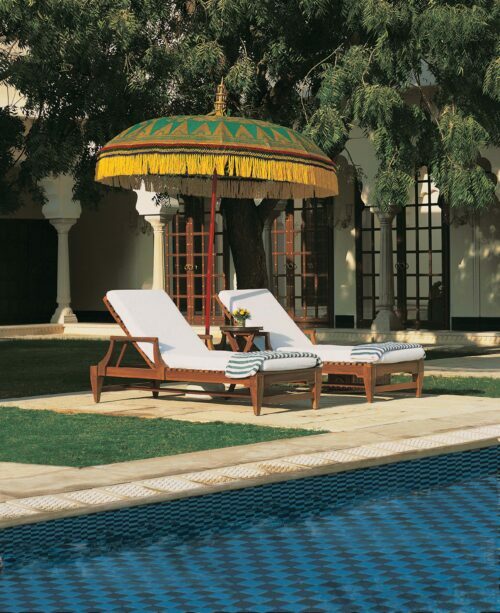 Take a well-deserved break form the daily game drives and dive into the inviting swimming pool or book into the serene Oberoi Spa under the Mughal archways and petal strewn water bodies and ponds. 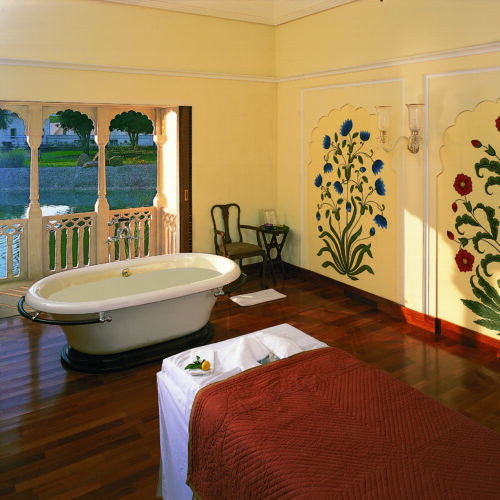 Using only natural spa products choose a signature massage and surrender to total relaxation. Few other safari lodges offer the chance to relax in such opulent surroundings, making this rare experience one of the best tented camps in India. 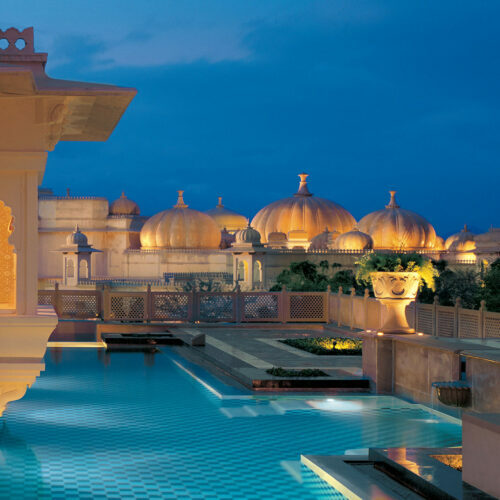 At The Oberoi Vanyvilas take time to enjoy some of the well curated Oberoi Experiences, from candle lit private diners down by the lake, to photography workshops and family friendly nature walks and stargazing under the jungle night sky.